Whilst equities closed somewhat weak, the VIX remained relatively subdued, with a minor gain of +3% @ 13.41 (intra low 12.89). Near term outlook offers continued equity upside, which will likely equate to VIX trading within the 15/11 zone.. into early April. *with equities seeing some sharp weakness (if relatively minor) into the close, the VIX snapped higher. 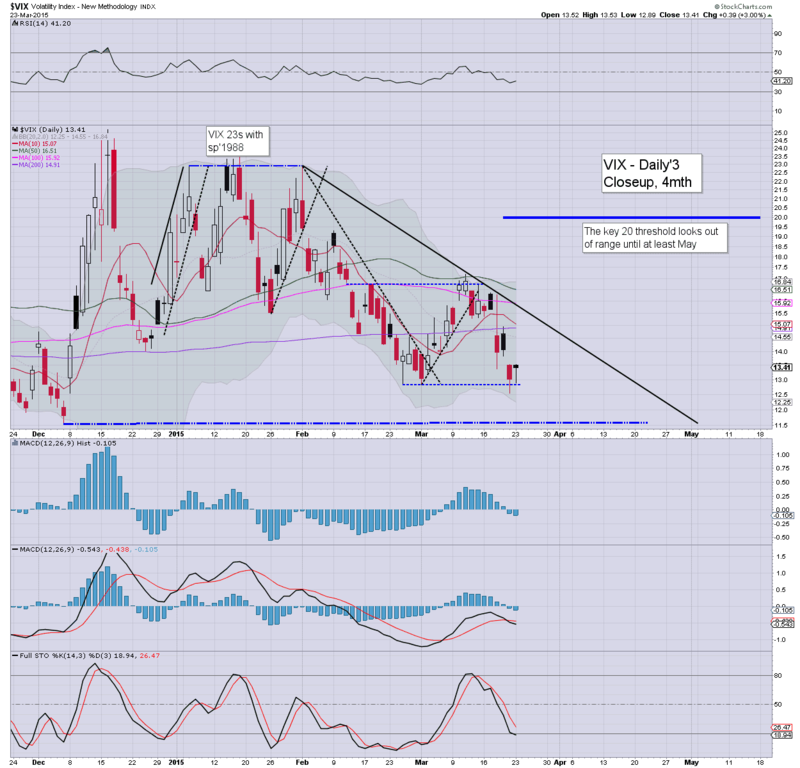 VIX remains broadly low in the low teens... and the big 20 threshold looks well out of range for some weeks. *some distinct weakness in the closing hour, but really... it barely rates as even minor noise. A pretty tedious day to start the week. However, there was a notable new historic (if fractional) high in the R2K. Rather sig' declines in the 'old leader' - Transports, but really, I don't think that bodes badly for the broader market.. not with the hourly cycles as they are. Market looks set for minor chop into the close.. on what has been a particularly quiet start to the week. 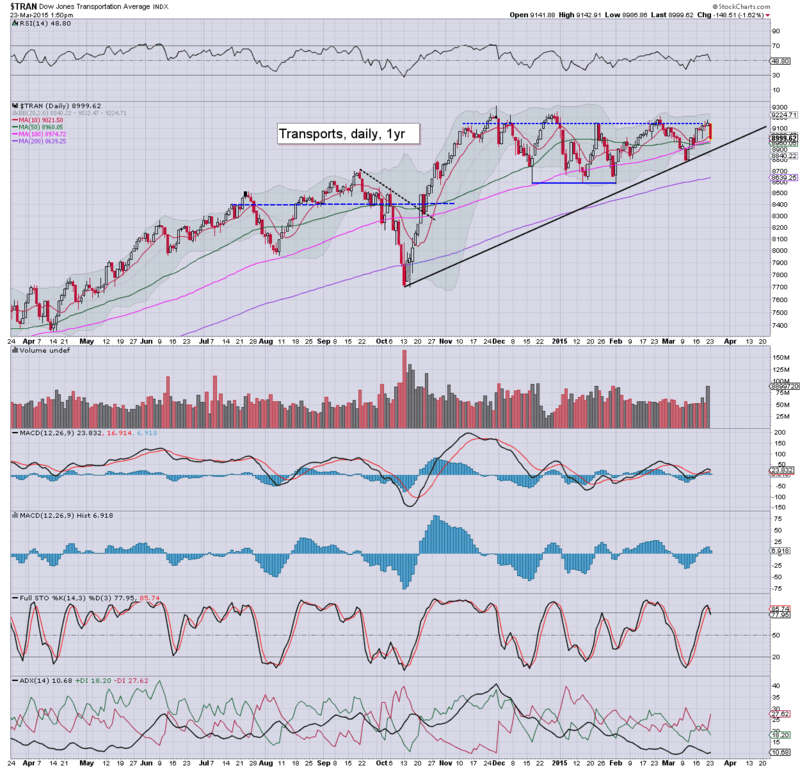 There remains notable significant weakness of -1.6% in the Transports. Metals are holding minor gains, Gold +$6, as the USD continues to slip away from the giant DXY 100 threshold. *considering the recent weakness in the USD, the Gold bugs should be concerned that the precious metals are not showing any consistently broad strength... at least yet. I can't take any of the recent gains seriously, unless we see a few weekly closes in the GLD 120s. Little to add.. on what is a quiet day. If Mr Market likes the CPI data tomorrow, then sp'2120s remain very viable... along with Dow 18200s. notable gains: AAPL, +1.4% in the 127s... more on that one... after the close. US equities remain mixed, with minor gains in the Dow/Sp, but with very notable significant weakness of -1.6% in the Transports. Broader price action remains one of consolidation in time - rather than price, and market looks set for another batch of new index highs this week. Little to add... on what is a rather good example where the smaller 15/60min cycles reset from overbought.. even with some net daily index gains. For the bulls.. this is obviously somewhat amusing. The sp'2100 looks like secure support... with 2120/30s due in the near term. notable strength: energy stocks, CHK +2.9%..... but the broader trend remains.... dire. US equities remain somewhat mixed, but with notable sig' declines of -1.5% in the Transports. 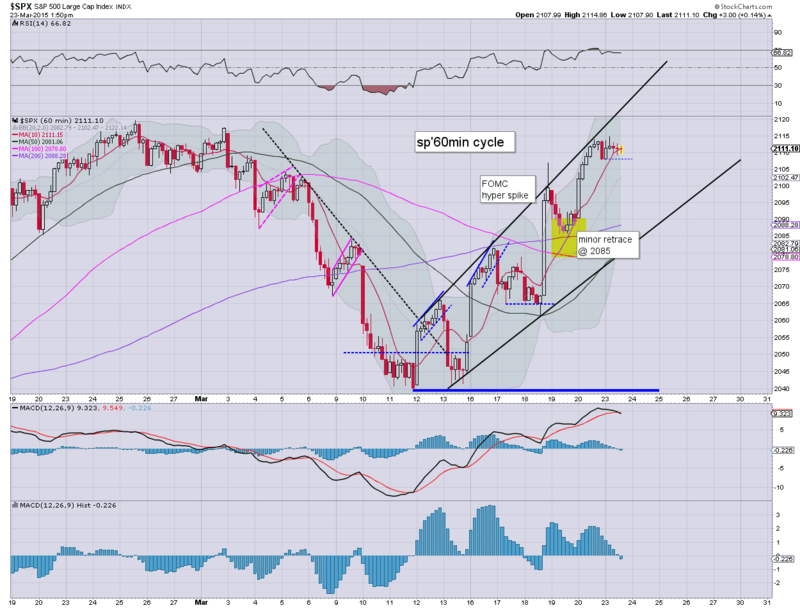 Broad price action remains bullish.. as the smaller 15/60min cycles are reset from overbought. 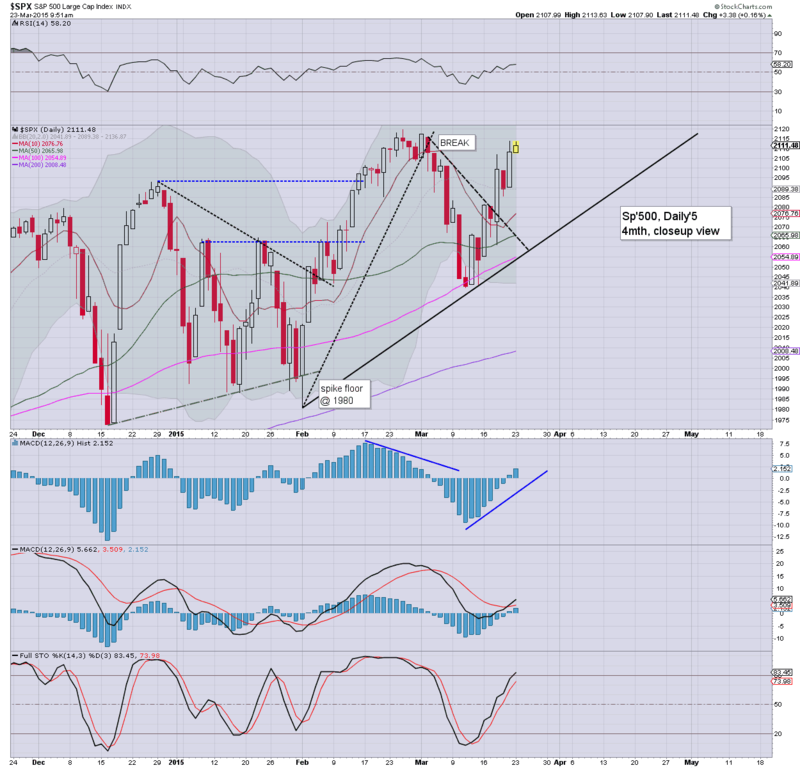 New historic highs for the sp'500 and Dow look due within days. 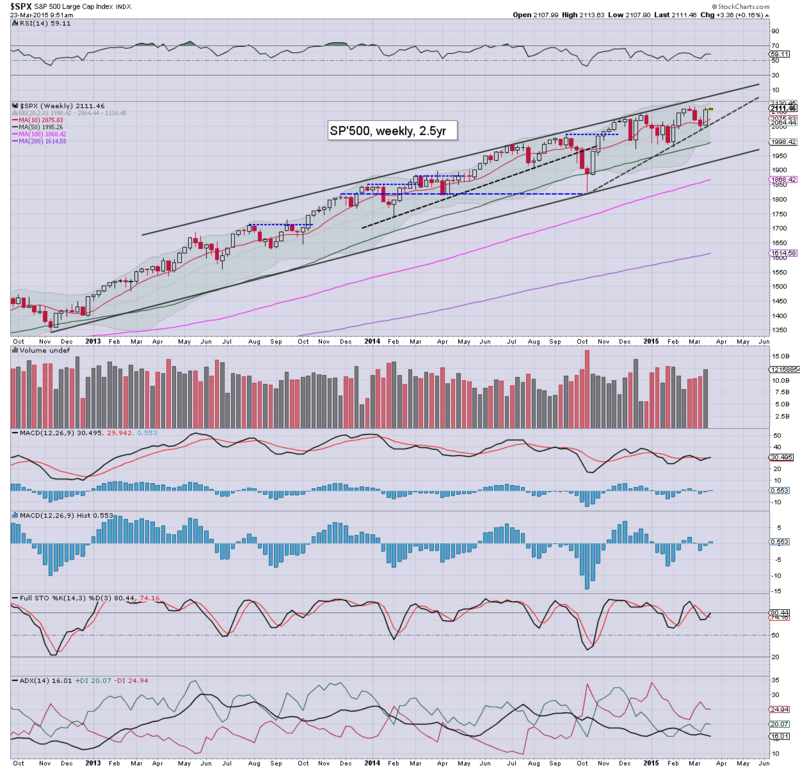 *notable new fractional historic high in the R2K, and it is interesting to see increasing chatter of R2K 1300/400s. Little to add.. on what is a quiet Monday. We do have CPI data tomorrow morning.. and that could give the excuse for new sp/Dow highs. Whilst the broader market is seeing some mixed chop, there are significant declines of -1.4% in the Transports. No doubt higher oil prices (+1.6%) are an issue today, but it is notable that the Trans has been stuck since the spiky black-fail candle (Trans @ 9310) of Nov'28th. Other than the weakness in the Transports, it remains a pretty dull start to the week. VIX is higher by around 3%.. but remains in the very low teens. VIX update from Mr T... who needs to adjust his mic. US equities remain somewhat mixed, as Mr Market has its attention on Draghi.. speaking at the EU parliament. USD remains notably weak, -0.85% @ 97.05, a retrace to the breakout/resistance zone of 90/87 remains very viable. Metals are battling to build minor gains, Gold +$3. Oil is holding early swing gains of 1.1%. 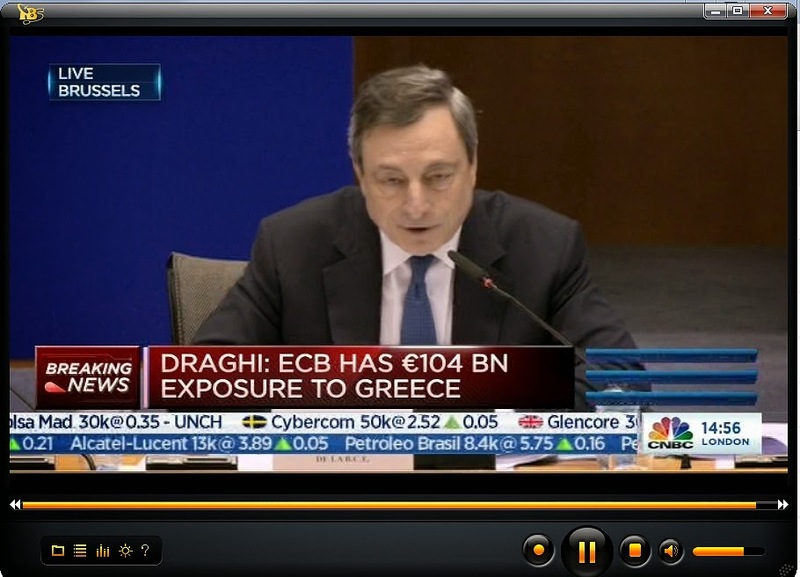 *I realise not everyone will have an interest in Draghi speaking (I'm guessing US version of CNBC isn't covering it)... but still... its interesting viewing. He is taking some heat this afternoon.. which is somewhat amusing to see. Overall though.. it remains a quiet start to the week. VIX is holding gains of 2% in the 13.30s.. which frankly.. is a pretty damn low level. 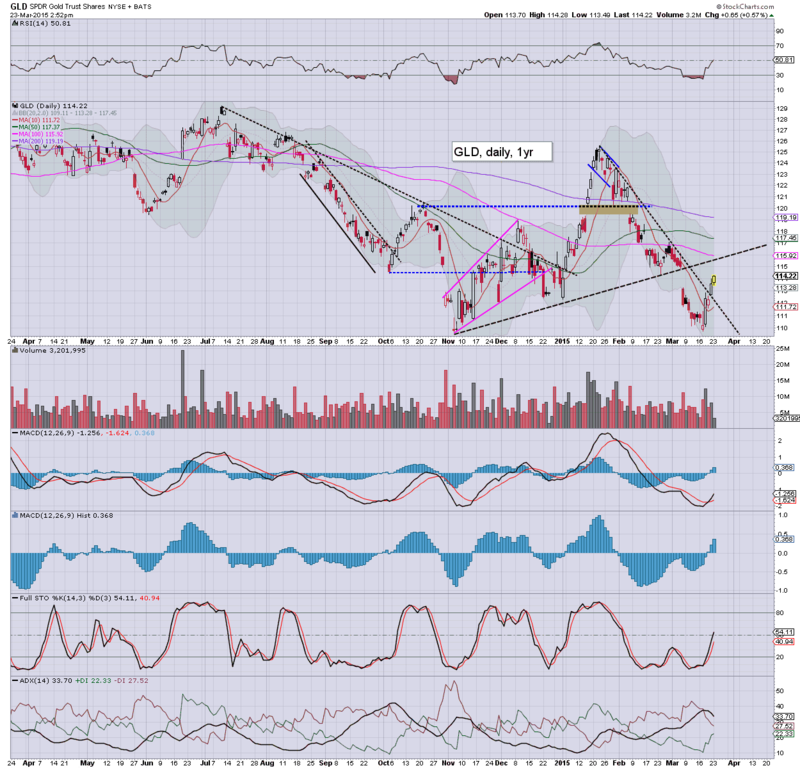 Notable strength: copper miners, FCX +3.8%, although the broader trend for ALL miners remains bearish. US equities open moderately mixed, with minor gains in the sp/Dow, but minor declines in the Nasdaq/R2K. The USD is notably weak, -0.8% @ DXY 97.10. Metals are flat, whilst Oil has swung higher... from -1% to +1%. *sp'500/Dow remain very close to breaking new historic highs... which do seem a given. Upper bol' on the weekly cycle is at sp'2130... pushing much above there will be difficult in the near term, although that hasn't been a problem for the R2K. Overall, a pretty dull start to the week, the next scheduled issue is CPI data.. tomorrow morning. Notable strength: energy stocks, SDRL +4%... but still. 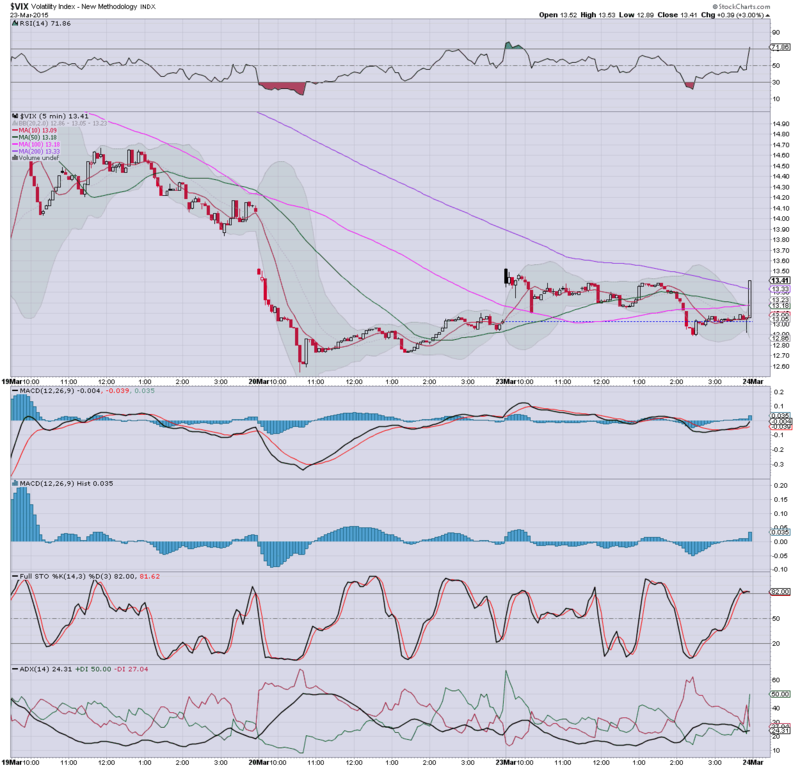 it remains effectively destroyed @ $10...having fallen from the $40s last summer. 10.19am... 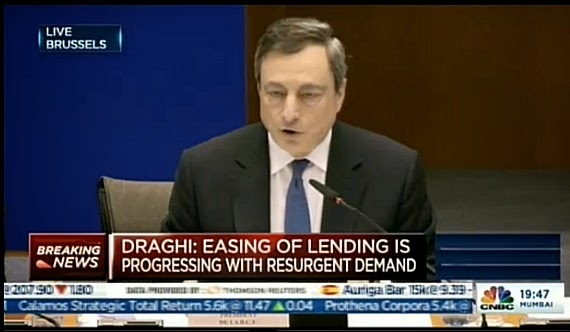 The Draghi is at the EU parliament, informing them of how everything is awesome for this year... and beyond. Equity bears face the usual problems. .. sp +6pts @ 2114... a mere 5pts shy of a new high. 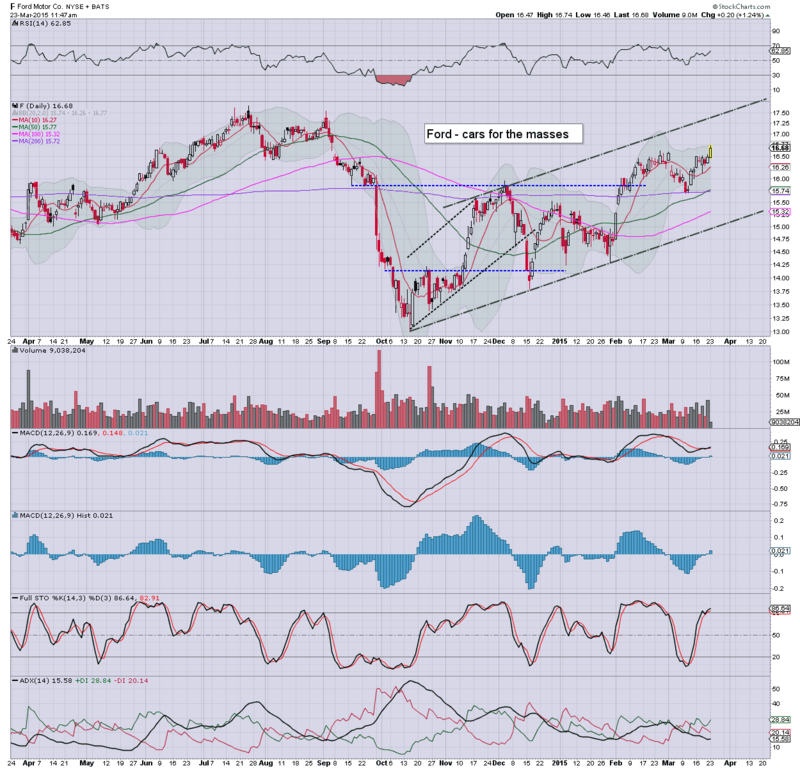 Notable strangth: AAPL +1.2% in the $127s.... with Nasdaq turning positive. Good morning. Futures are fractionally lower, sp -1pt, we're set to open at 2107. Metals are a touch weak, Gold -$1. Energy prices remain broadly weak, Nat' gas -2.3%, whilst Oil is -1.0%. 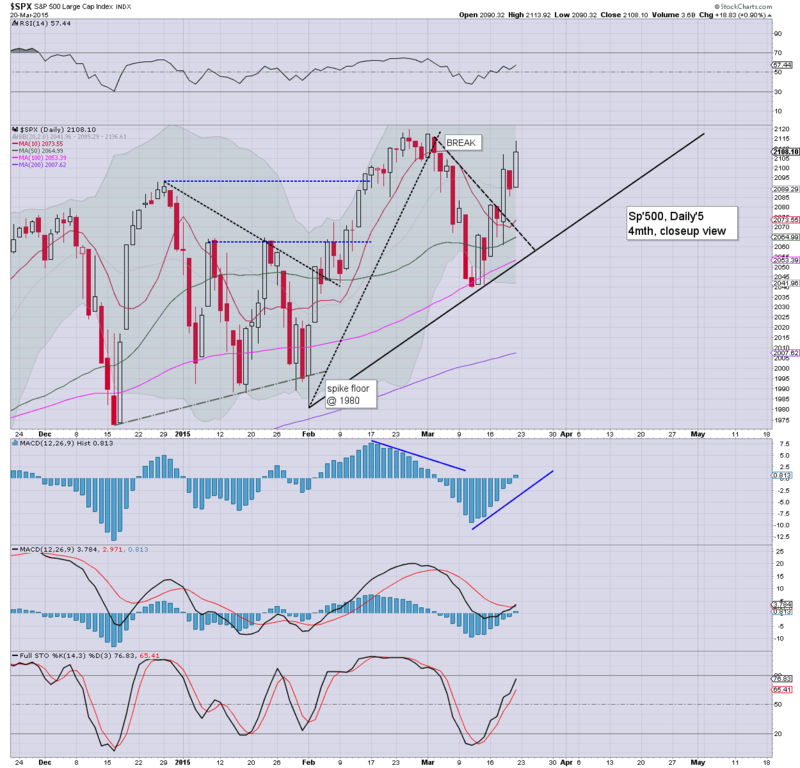 So... a relatively quiet start to the week... .but underlying trend remains strongly to the upside. First upside target are the sp'2120/30s.. where we will likely get stuck. As ever.. make of that... what you will. Personally, I think the dollar doomers are almost as in denial as the Gold bugs. Indeed, many of the latter are still on the 'all paper currencies will implode at once' train... which is simply ludicrous.